Over the past couple of years there has been a notable shift in the area of complex business arrangements including outsourcing, public-public and public-private partnerships centered around the importance of relationships. Specifically the recognition that effectively managing the “relationship” between all stakeholders is the single most critical element of a successful initiative. Even industry associations and practitioners of transformational and vested outsourcing are now talking about “relational importance” as they transition their models towards what I call a relationship first approach. So what does it mean to be truly relational? Before I answer that question, let’s quickly identify what it isn’t? 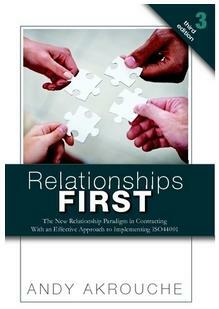 To start, terms such as win-win and the mere acknowledgement that relationships are important is not enough. The reason is that recognition without meaningful action is nothing more than wrapping the old adversarial model in shiny paper and putting a bow on it. Unfortunately, this repackaging exercise has been repeated far too often because it is much easier to add a new label to an existing model, than it is to actually make the necessary changes to being relational – especially within the public sector. The reason is that becoming relational means that you will almost always have to facilitate a cultural change within the organization from the top down. For many the prospects of a cultural change is a daunting, even fearful exercise. This is because it forces us to shift from a familiar performance-based model that is structured around an adherence to the inflexible terms and conditions associated with a static outcome. The main problem is that the real-world does not operate within the narrowly defined conditions of a contract – no matter how well it is structured. Initiative goals can and do change, and with it the capabilities of key stakeholders to fulfill their established role. This means that rather than attempting to enforce compliance to a rigid set of performance requirements based on a single point in time objective, one must be able to adapt to the reality of inevitable change. The recognition and subsequent ability to adapt to changing goals and stakeholder capabilities, is the true definition of a relational arrangement. A general understanding of the relationship based model from the standpoint of not only its differences from transactional or performance-based models, but the benefits that can be derived from it in terms of improved outcomes. This includes an understanding of the needed organizational structure, process and behavioural changes associated with being a participant in high performing relationship. A guideline for how to plan and source a relationship, as opposed to a transaction or one-time negotiated deal including; i) How to define the attributes of the required relationship, ii) How to objectively select vendor(s) based on those attributes in a manner that satisfies the tendering process, and iii) How to build a Relationship Charter during the procurement process. A process to “operationalize” the Relationship Charter so that it is transformed from a well-intentioned paper model, to one in which it defines the way that stakeholders actually work together towards achieving a mutually beneficial improved outcome. 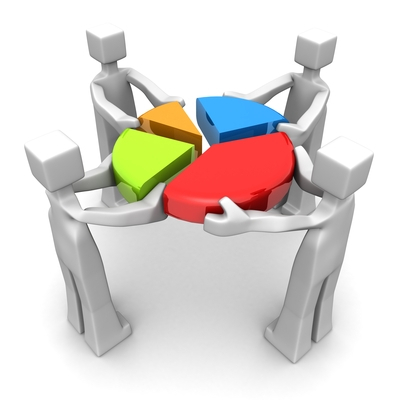 The mechanism to organize, tool and manage the partner relationships management function within the organisation. In subsequent posts, I will examine more closely each of the above elements in greater detail.